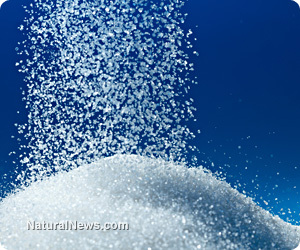 (NaturalNews) A bit of a flap occurred recently when a new sweetener product was introduced by the processed food industry with claims that it was designated by the FDA as generally recognized as safe (GRAS). But the FDA denied that, because they didn't say it was GRAS. That doesn't mean that the GRAS label comes off. The GRAS statement was revised, and the designating source was properly identified as the Flavor and Extract Manufacturers Association, also known as FEMA (not the federal emergency agency). Instead, it's the industry group to which the manufacturer belongs. Another obvious case of the fox guarding the hen house. The company involved, Senomyx, retracted its FDA statement. So what. FDA is yet another fox protecting the hen house. The GRAS designation stays no matter who puts it there due to some silly rule (reportedly not fully ratified) that says any third-party group can label a product as GRAS. The new product that will be tested on the public is called "Sweetmyx." Senomyx uses "proprietary taste science technologies to discover, develop and commercialize novel flavor ingredients for the food, beverage and flavor industries." And PepsiCo has jumped to the head of the Sweetmyx line to use this sweetness-enhancer in its products. Note the word proprietary. It's one that is used to help keep independent researchers or government agencies from getting a complete list of ingredients by invoking the Trade Secrets Act. It's what Monsanto's Roundup and other toxic glyphosate chemical producers use to conceal those "inactive" adjuvant ingredients that reveal how bad their formulas really are. Just put these words together: "generally recognized as safe." It's as wide open as an unstudied opinion by committee. GRAS labeling is cause for caveat emptor, "buyer beware." It should be generally recognized as bogus. Senomyx is a chemical company that works on tricking taste buds. They produce flavor enhancers. MSG (monosodium glutamate) is a flavor enhancer that the FDA considers GRAS. It's an excitoxin that kills brain cells. The concept of Sweetmyx is to "enhance" existing sweeteners, such as HFCS (high-fructose corn syrup), to require less. Maybe that's a relatively good thing. But the adverse effects of Sweetmyx won't be known until years later, after being tested on consumers, if at all. The precautionary principle yields to "throw caution to the wind" when it comes to fast tracking corporate approvals. The fact that Sweetmyx is not meant to be isolated but used to enhance existing sweeteners is one camouflage. Another is that it won't be listed in the ingredients except perhaps as a "sweetener" or "artificial flavor," if at all. This will be an invisible mystery additive. Aspartame, another artificial sweetener, was pushed through FDA approval despite warnings against it from FDA scientists. The company that developed it, G.D. Searle, sold it to Monsanto. Searle's CEO, Donald Rumsfeld, used his position in the transitional government to Ronald Reagan's first reign in 1981 to appoint a temporary head of the FDA whose mission was to overrule the scientists and approve aspartame fully. Rumsfeld reportedly received a $12 million bonus for gaining aspartame's FDA approval. And since then, the FDA has received more adverse complaints from aspartame than any other food product. And the CDC brushes them aside as just a few folks with allergies; after all, it's FDA-approved and GRAS. It seems like government agencies circle the wagons to protect each other and the bad guys. Could the bad guys have more influence on those agencies than the good guys?